Affordably outfit exterior doors with this lockable knob set from Defiant. The Hartford keyed entry knob easily mounts to doors 1 3/8-inch to 1 3/4-inch thick with the included hardware. Perfect for all entry doors where security is desired. Provided with this set is an adjustable backset and interchangeable faceplates for drive-in and traditional installations. This sturdy knob nicely coordinates with other fixtures in your home for a cohesive look. A lifetime warranty ensures that this device will withstand frequent use. Prestige Carnaby Venetian Bronze Hall/Closet Door Knob Baldwin Hardware has a rich heritage of delivering modern luxury to discriminating homeowners. Baldwin Prestige Series offers effortless, accessible style and luxury. With the Baldwin Prestige Series, any homeowner can instantly create an atmosphere of confidence from the moment someone knocks on the door. Baldwin Prestige Series is affordable luxury. The Baldwin Prestige Carnaby Knob features a traditional-oval design which is offered in keyed-entry, passage, privacy, and half dummy functions. 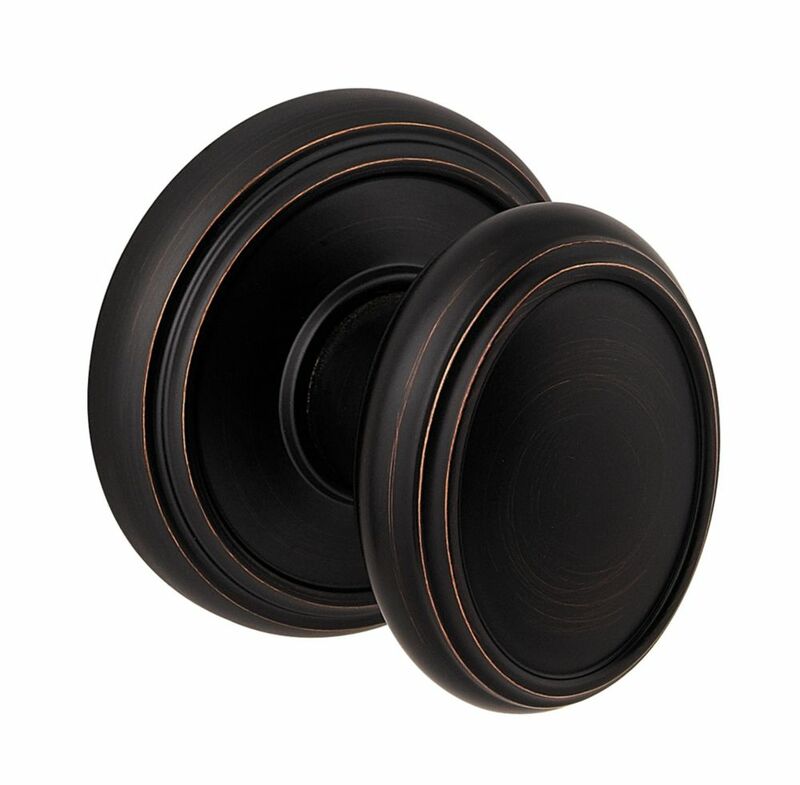 Prestige Carnaby Venetian Bronze Hall/Closet Door Knob is rated 4.5 out of 5 by 12. Rated 5 out of 5 by HomeDepotCustomer from Well made, very sturdy and top quality. It really... Well made, very sturdy and top quality. It really helps to set off our pantry door very nicely. Rated 4 out of 5 by Michael from The handle, to me, does NOT look OVAL. I received... The handle, to me, does NOT look OVAL. I received the product, and thank goodness my client accepted it. You NEED to write on the box that it is an OVAL HANDLE, not round.....please......very important!! Rated 5 out of 5 by Seedz4u from Quality product with easy installation instructions. Quality product with easy installation instructions. Rated 5 out of 5 by lynnch from These are solid doorknobs. Even the locksmith commented that I... These are solid doorknobs. Even the locksmith commented that I bought the best locks available. I liked them so much I went back and bought 4 more! Rated 3 out of 5 by TexasRemodeler from Sticky... The knobs feel great and are easy to install, but they come wrapped in stickers that leave a sticky film that is very difficult to remove. I got if off with goo gone, but it was a lot of work. A top of the line product should not take this much work. Rated 4 out of 5 by Jones from Very nice and sturdy knobs.... Very nice and sturdy knobs.